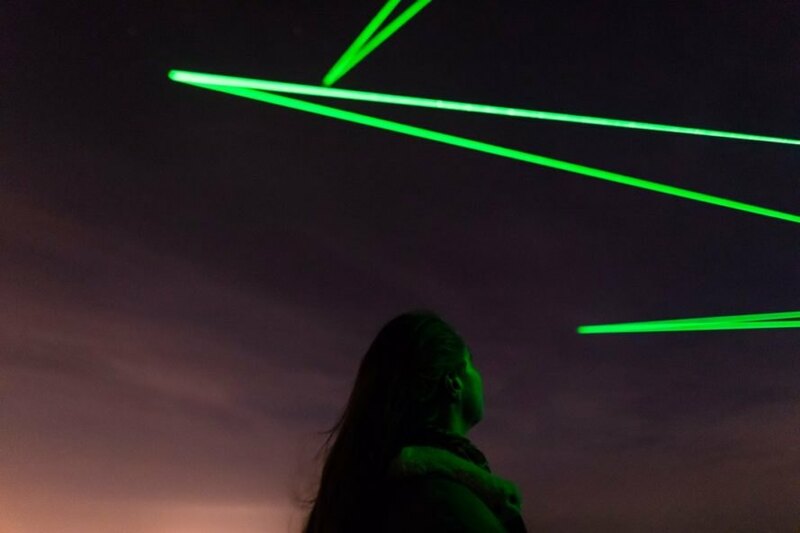 A dazzling neon green light show is illuminating the night skies in Dutch designer Daan Roosegaarde’s latest large-scale art installation, the Space Waste Lab Performance. 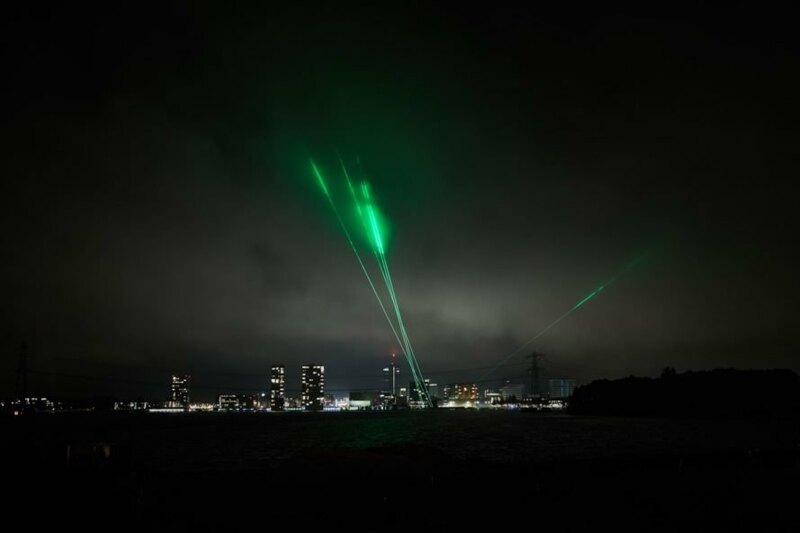 Created as part of the Space Waste Lab, the performance uses real-time tracking information to render the space waste floating above our heads visible with bright green LEDs that follow the movement of the drifting waste. 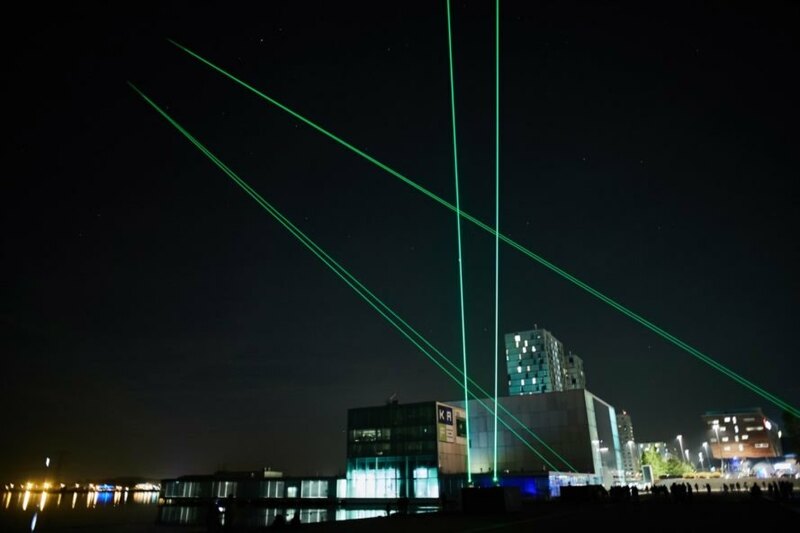 The series of live installations kicked off on October 5 in the Dutch city of Almere and aims to call attention to the problem of space waste as well as sustainable upcycling solutions. 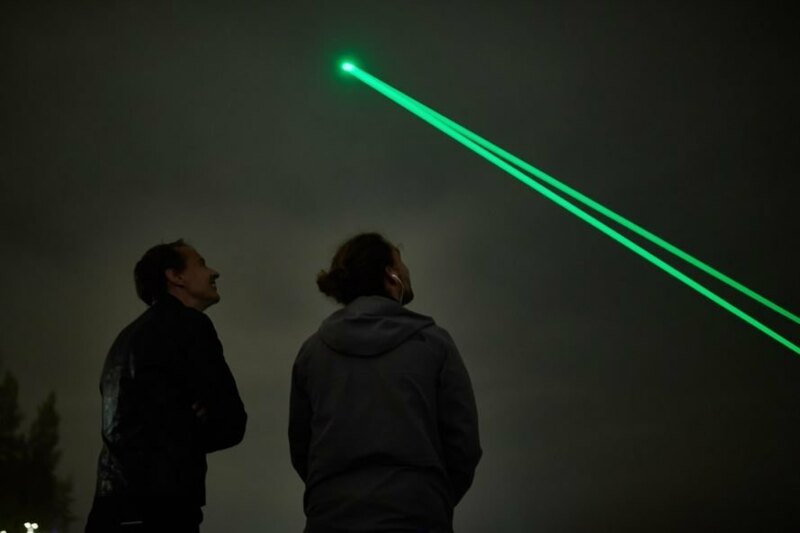 According to Studio Roosegaarde, there are currently more than 29,000 items of space waste — approximately 8.1 million kilograms worth — floating around the earth. Classified as objects greater than 10 centimeters, the waste comprises anything from parts of broken rockets to chipped-off satellite pieces. The drifting junk poses a danger to current satellites and can disrupt digital communications, however there is no clear plan on how to fix the growing issue. 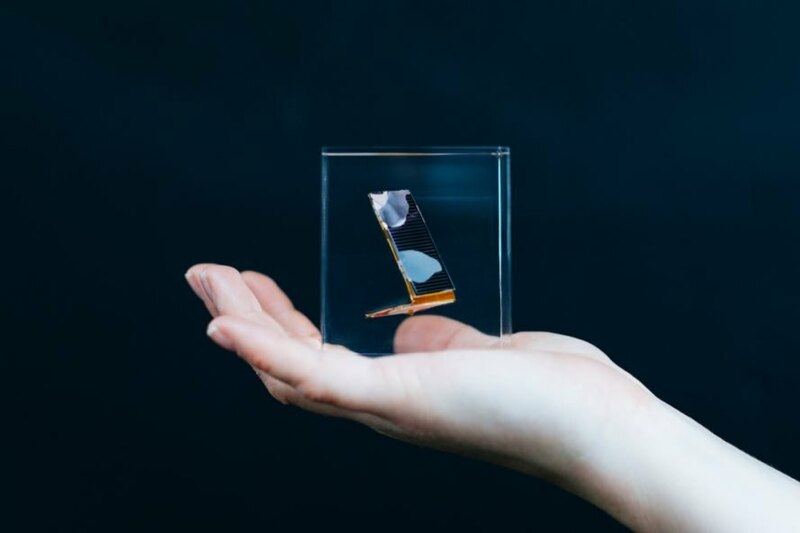 In response, the Dutch design studio launched Space Waste Lab with support from the European Space Agency to bring attention to the issue and find ways to upcycle the waste into sustainable products. The Space Waste Lab Performance that launched early this month marks the first phase of the living lab. 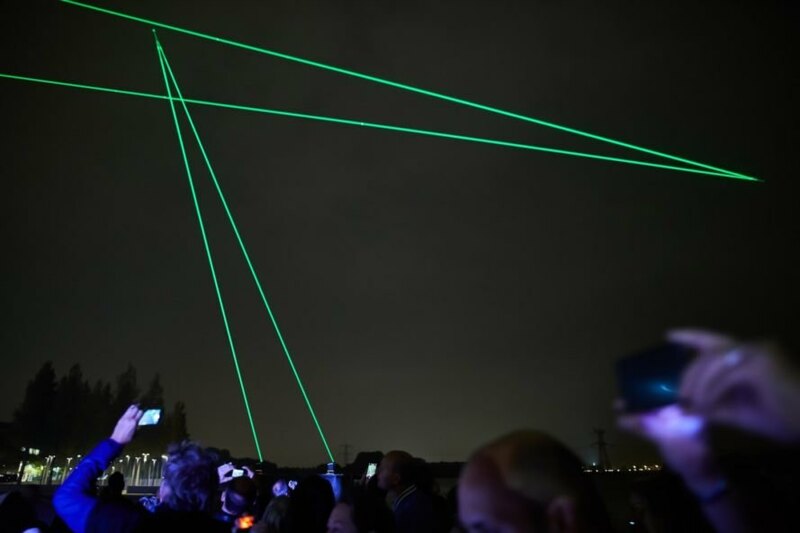 Created in compliance with strict safety and aviation regulations, the large-scale light show uses cutting-edge software and camera technology to track pieces of drifting space waste in real time with high-powered, neon green LEDs that project a distance of 125,000 to 136,000 miles. 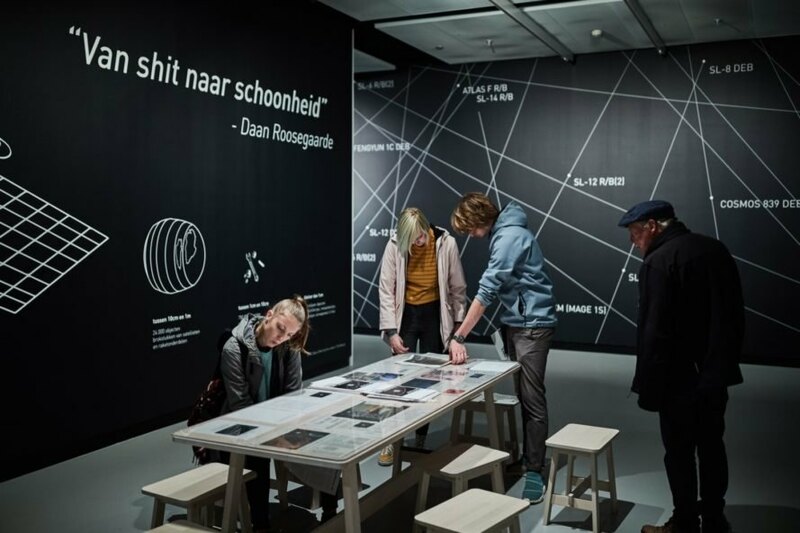 Space Waste Lab will be open to the public at Kunstlinie in Almere until January 19, 2019 and is complemented by the “Space @ KAF” exhibition next door. 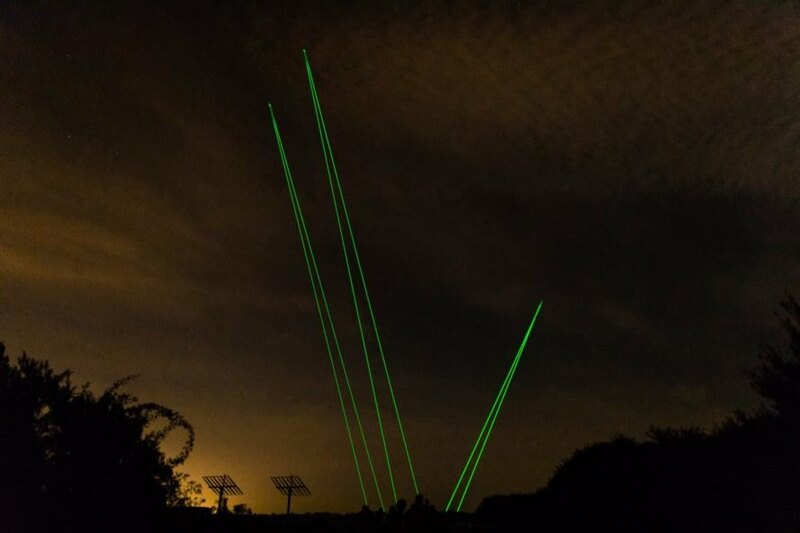 The Space Waste Lab Performance will be exhibited after sunset on the nights of October 5 and 6; November 9 and 10; December 7 and 8; and January 18 and 19, 2019. The surrounding street and commercial lights will be turned off at those times to enhance the experience. Phase 2 of the program begins after January 2019 and will study ways to capture and upcycle space waste. Product 3D KNITTING ON DEMAND published. Material Kintsugi: make products unique by repairing with gold glue published. CaseStudy Free course: Sustainable packaging in a circular economy published.